The weather forecast for Sunday was for the wind to be moderate in the morning, increasing to properly honking..like 45+ knots..by the early evening. As a result the newer OK again went out in the morning for a training session while the other got ready for the racing. The morning was indeed ideal Bft 3 training weather and “Beastie” did a training course with lots of tacks and gybes. The wind was even starting to increase nicely as “Beastie” came in after a good productive session. It all looked set for a windy afternoon and good racing for the “Milky Bar Kid“. All on plan so far. 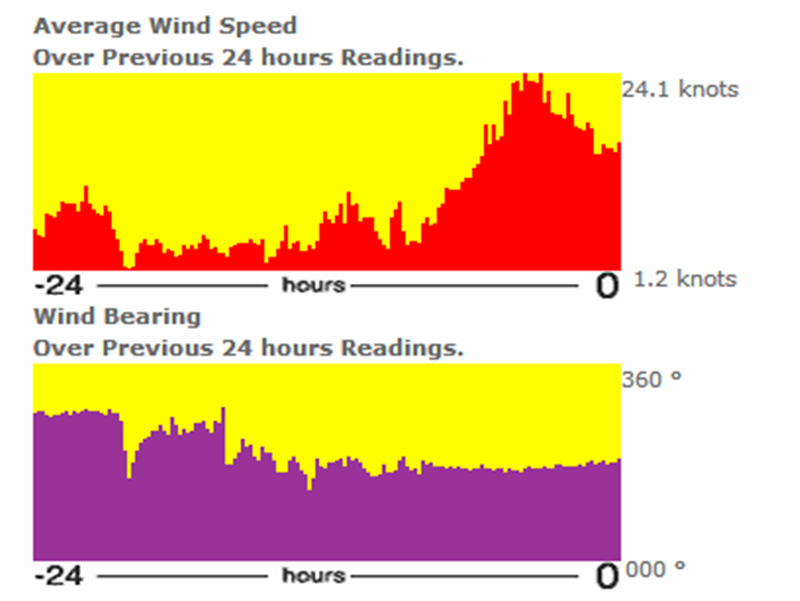 However, the forecast steady increase in wind then didn’t materialize. Instead we got very light winds for the first several laps of the afternoon race only gradually giving way to more slightly more wind, albeit with the odd strong puff. by the end of the day. Probably just as well! 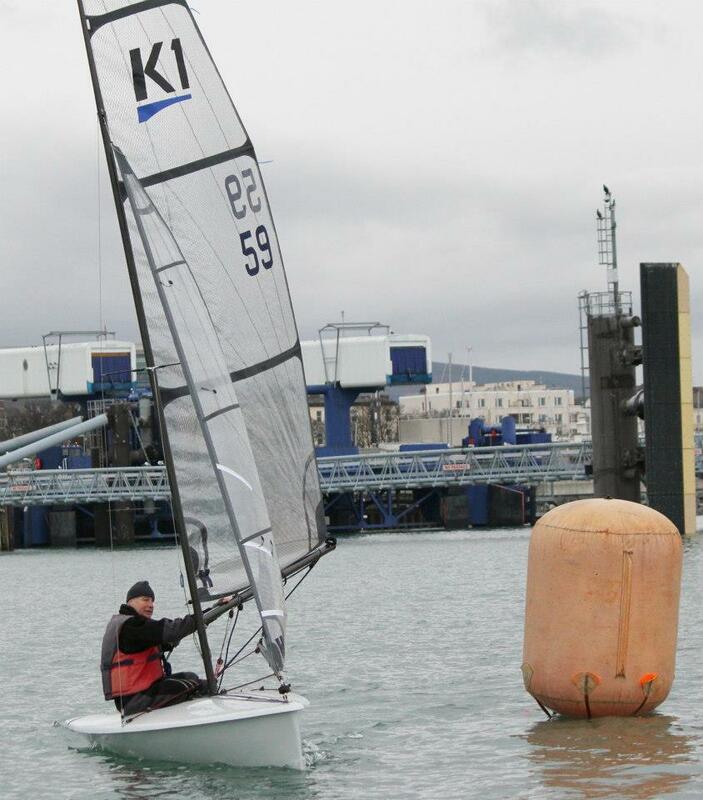 There are no pics of the OK Dinghy in the races today and it’s not a bad thing. In the end the OK was far enough back in the fleet that we’d have had to guess the final winners, and that’s never a good sign. From the beginning the OK wasn’t going well. 45 seconds before the start there was a nice pin-end bias. But then a right-hand puff brought the boats along the line fast and high and an attempted pin-end flyer turned into a rather chaotic tack-fest. An object lesson in how not to do it, reminiscent of the old poster. The dig-out was painful and the final result on the day won’t be any good. Plus after the dig-out Tom Murphy in the K1 probably isn’t too happy with the OK this evening. Did the OK tack clear ahead or not? Well, Sheehy thought so, Murphy didn’t seem to. Was it tight? Yep. Was it legit? A discussion for another day but at least there was no contact and no damage to either boat. The OK’s gelcoat has 25 years of bumps and dings but the K1 is pristine and gorgeous and should stay that way. Being forced right probably helped the K1 in the end and it went on to sail away into the distance, but let’s draw a veil over that one for now. The goal now was damage limitation. Try to stay out of trouble and try to catch up if possible. Enzo Michel in the RS200 and Rumball in the RS400 were pulling out ahead and sailing well and Enzo took home the DMYC cup for the day. 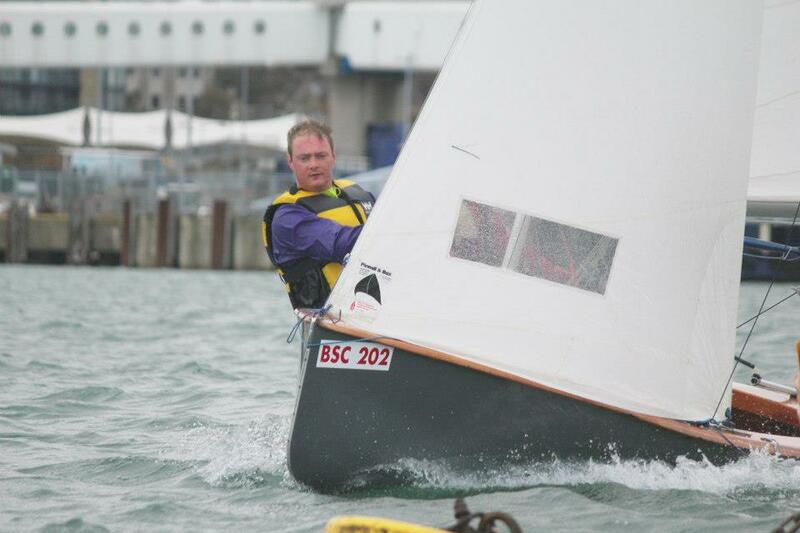 The 470 and other RS400s were close behind, with the IDRA14s, GP14 and then the OK Dinghy following along. With big oscillating shifts but a tendency for puffs to come from the right, that side was paying…but it was uncertain all the time and was light and very shifty. A couple of laps later the RS200 was doing really well and chasing Rumball in the leading RS400, which seemed to be having more trouble with the increasingly deep second reach. Much further back the OK was with the GP14 at the leeward mark. After rounding nose to tail behind the GP14 among crowds of boats, the OK tacked left for about 75 metres before coming back to the right where the GP14 was now also coming towards the left. With little time to decide, a close tack ahead and to leeward was the option chosen. Now the GP14 wasn’t happy. Again, understood, but gotta disagree. Anyway, both boats were now going left and sailing through the oncoming hordes of Fireballs that the OK had wanted to go right to avoid. Darn. Thankfully, after scraping through the speeding spinnakers, this was the only beat where going left wasn’t a disaster and the OK caught a good puff along with several Fireballs. The shifts at the windward mark were as big as 20 degrees or more, with the two IDRAs and OK and Fireballs all weaving like crazy as they approached the mark. Keeping IDRAs behind you on a reach is hard, so the goal is to let them overtake to leeward. If/when they try to go to windward then Rule 11 kicks in. Today one of them tried a new trick. Fail to overtake to windward so then overtake to leeward and ignore Rule 17. Grrrrrr. The final “entertainment” came when the leading Lasers overtook the OK and were then overtaken by the OK up the next beat. The OK found itself in the middle of the top 3 Lasers and a lapped Laser Radial approaching the gybe mark. How to stay out of the way? There was no way. Fortunately there was no problem at the rounding, but it’s unlikely Chris Arrowsmith will ever go the long way around a slower boat at the gybe mark again, as he found himself outside the Radial and the OK at the mark. From contending for the lead he was suddenly definitively third Laser, with a loss of 20m in less than a minute. Anyway, all in all it was a bad day at the office. Lesson? Stay clear of other boats. It’s been the policy and it’ll continue to be the policy and now we’ve seen again why it’s a good policy. To the K1 and GP14…sorry lads but we honestly thought the tacks were legit, particularly so with the GP14, even if they were tight and perhaps more aggressive than decent in the frostbites…. In any case that wasn’t how we like to sail so there are beers on account for all of you. Plus the OK will be working hard to stay out of your way and out of trouble in the future. To the IDRAs? Come on lads..read the rules please. The only slightly positive aspects of the day? Well, once the wind came up a little the OK was able to make great progress. The other was that the leading Lasers passed the OK but it managed to overtake them again and sailed right with them for a little more than a lap. A bad day but maybe not going THAT slowly in the end. Another day, another learning and still a huge improvement from 12 months ago when – for instance – bearing off was a maneuver that often ended in a swim if there was any breeze.